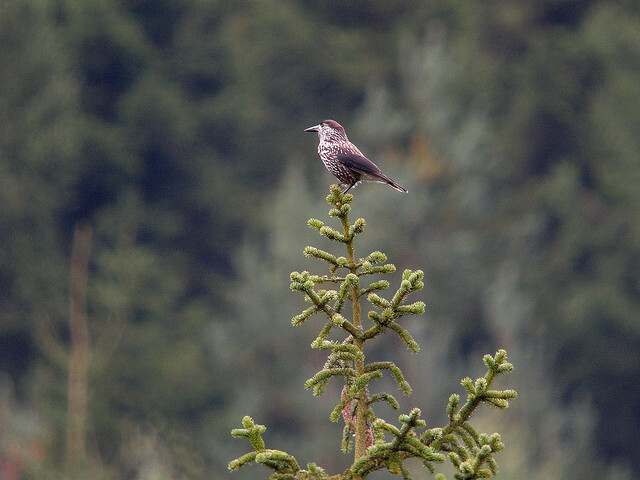 The Nutcracker is hardly seen in western Europe, but sometimes there are winter invasions and at those times we see them in great numbers. Probably a lack of food causes those winter invasions. 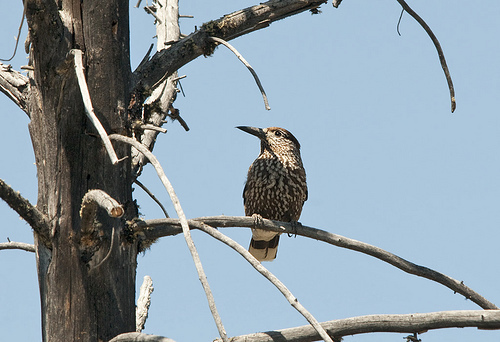 The Nutcracker is browner and larger than the Starling.